Collaborative research into the potential of bilingual radio drama for an audience fluent in only one language has resulted in the creation of a series of bilingual plays. The research was funded by grants from the Arts Council, England (£40,000) and the EU Culture 2000 Programme (€60,000). Working with Dr Gunther Freisinger (Vienna University), Toma Enache (Radio Romania International) and Eoin Brady (RTE Lyric FM), Jonathan Banatvala spent 2005-2009 researching the nature, challenges and potential of bilingual radio drama. 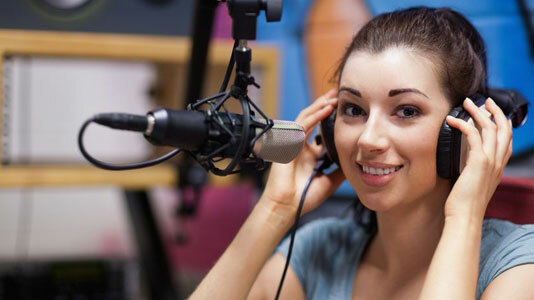 The aim of the research was to discover whether radio drama could be created entirely bilingually yet still be understood by a monolingual audience. The research would explore the impact of recording radio drama in different recording environments and the artistic benefits of working across cultural and linguistic borders. To begin with, the group of academics spent two years identifying and developing a framework for creating radio dramas in two languages. They worked with multi-lingual actors, and their efforts culminated in a two-day 'laboratory' workshop where suitable pieces were adapted, recorded and analysed. The research clearly showed that creatively written code-switching (changing between languages) was an essential part of the listening environment and enhanced the dramatic experience. In the second phase of the research, which ran from 2007 to 2009, each team contributed to the production of a series of five 30-minute bilingual dramas in English as a second language. As well as producing the two UK productions, Banatvala also curated and directed the overall season, entitled The Works. The recording techniques offered the opportunity for further insight into how audiences would react to the dramatic experience. Two of the plays were recorded in front of live theatre audiences, one was recorded on location in rural Ireland, and one in a traditional recording studio. The studio-recorded drama was then performed live as an audio-drama at LSBU before a multi-lingual audience. The series was intended for an online audience as well as mainstream radio broadcast. The creative and production process combined with the reaction of the various audiences led the team to some interesting and unexpected conclusions. Perhaps most importantly, the success of the series showed that bilingual radio dramas could succeed without the need for visual clues. Indeed, the audience experience could even be enhanced through the use of two languages because the change in language could be used to signal relationship and character developments through the process of code-switching between bilingual characters. Further discoveries were that using English as a constant language across all the plays gave the series a broader international currency than had been expected, and that live audiences could respond to bilingual plays as an art form in their own right. The Works did not just prove that the concept of bilingual radio dramas was workable – it enjoyed considerable critical acclaim. One episode won a Prix Marulic award and was shortlisted for the Prix Europa, while another was shortlisted for the Irish PPI Radio Awards. The series as a whole also won New York Festivals Radio Programming and Promotion award in 2009. Like all good research, The Works was not the end of the journey. Instead, its success has given life to more multi-lingual projects and Banatvala and his team secured funding to produce The Mechanics, a project to reinterpret the story at the heart of Carmen in a range of languages and art forms. Other radio drama producers and directors have also built on the foundations laid by The Works to produce their own multi-lingual dramas, collaborating with members of Banatvala's team. The Works also successfully whetted the appetite of UK listeners for internationally-produced radio drama and a willingness to engage with unfamiliar themes, languages and formats. A firm indication of this is the growing support for an International Radio Drama festival in the UK, which has been backed by radio producers from Australia, Romania, Croatia and Germany, as well as the BBC.